Literally meaning “fire meat” in Korean, bulgogi is a dish that has extended from the small nation tomany other corners of the world. 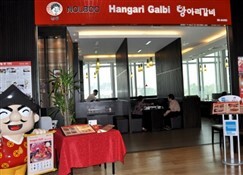 Most commonly found in barbecue restaurants in Korea, the famed dish has evolved to the world of fast food- particularly in the form of a bulgogi burger. More traditional preparations are easy to find, however. 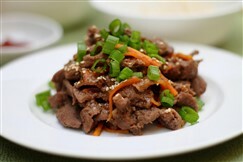 Bulgogi is made from thinly sliced beef that has been marinated for hours. The marinade is usually on the sweeter side, and generally consists of soy sauce, sugar, garlic, sesame oil, ginger, and scallions. The seasoned meat is then grilled, but pan frying is a suitable substitute. Vegetables such as onions, green peppers, and whole cloves of garlic are often placed on the grill beside the meat. 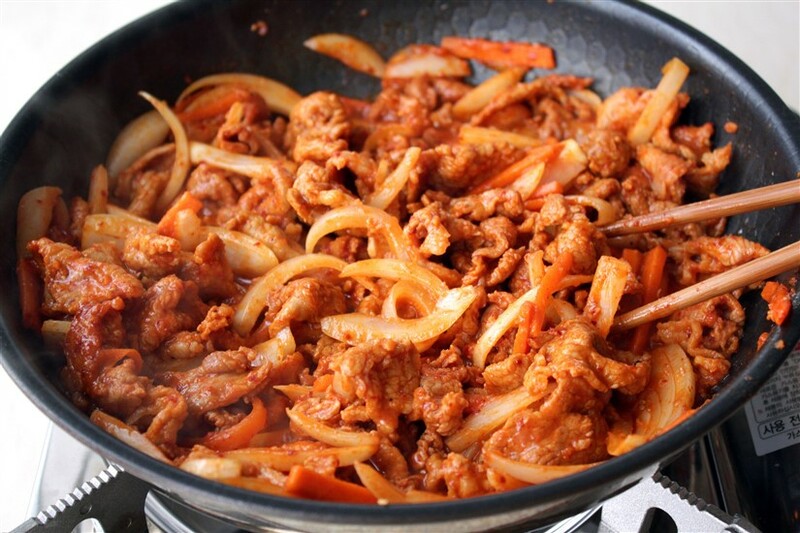 Bulgogi can be served in a variety of ways, but a good standard is usually rice and kimchi, along with lettuce leaves to wrap around the meat.